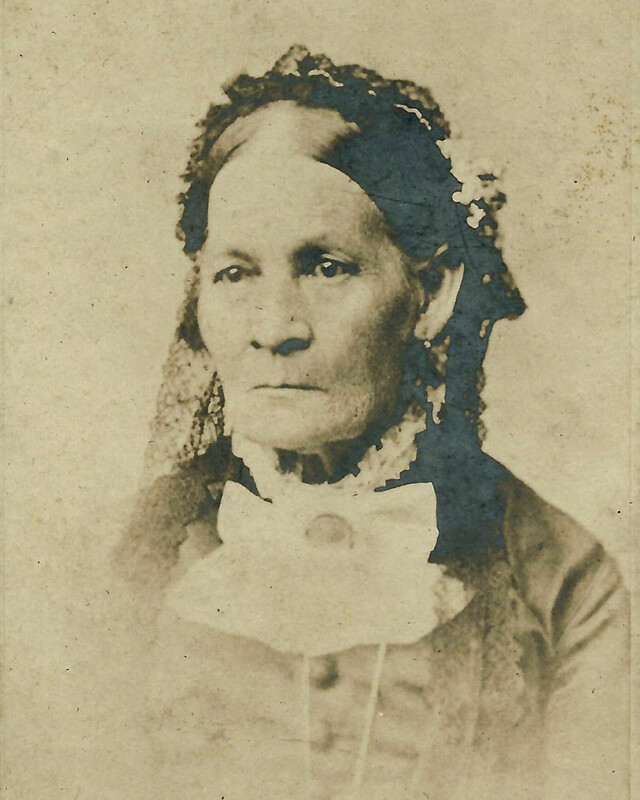 Sarah (Sally) Foster Abbott (1809-1886) of 28 Elm Street was the wife of Daniel Abbott, a Main Street provisions dealer. In the summer of 1863, her two adult sons, Nathan (age 35, single) and Richard (age 31, married, painter) registered for the draft. Nathan was drafted on July 18, 1863 but discharged on account of a “constitutional disability and valvular disease of the heart.” Richard was not drafted. Both men made $25 contributions to town recruitment funds. Mrs. Abbott was a member of South Church.